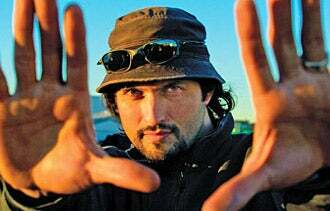 Robert Rodriguez may be a film writer, director and producer. But he's also an entrepreneur. The multi-hyphenate filmmaker recently shared news regarding his latest venture El Rey, a forthcoming independent TV network on Comcast. The El Rey network, which is slated to go live by 2014, will be an English language channel geared towards the next generation of U.S. Latinos. The cutting-edge director of Desperado, Sin City and From Dusk Till Dawn described his business and production model as "high-tech guerilla." In other words, he plans to work off a limited budget, which he says will ultimately drive greater creativity and innovation -- a notion that may sound familiar to many entrepreneurs. This DIY mentality isn't surprising. Twenty years ago when Rodriguez released his breakout indie film El Mariachi, he shortly thereafter wrote the book Rebel Without A Crew. The book was a guide to a new wave of filmmaking where a $300,000 budget equals just as many opportunities and possibilities for distribution and release as a multi-million dollar film. "When you do that, it's called something like breaking the end field," he told me. "You can only run the 100 yard dash in 7 seconds. That's all that's possible, until someone does it in 6.5 seconds. Changing the game is a mindset." How are you planning to disrupt the TV space? If you launch a network like everyone else has a network that doesn't make sense. You need to get content that no one else is providing. We can, because 2nd and 3rd generation Hispanic Americans is the biggest and fastest minority group in the country. It's like "Desperado TV." You don't watch Desperado or Machete because they're Latin, you watch them because they're cool movies to check out. El Rey will be made up of shows by people from all over the country who wouldn't typically get into Hollywood. Hollywood wants to own everything. I don't want to own anything. I don't want people just to make content, I want to empower and teach them to create content they own that they can exploit in any medium. How big of a role with social media play in your next generation network? Social media is a must for El Rey. The median age of U.S. citizens is about 37 years old, while U.S.-based Hispanics, as a whole, are much younger. Plus, they're over indexed in social media, and they spend a trillion dollars a year. And even though there are 500 networks, not one of them is talking to them. A TV network sounds so traditional, but what it really starts as is a lifestyle brand. You're talking about a youth that's very dissatisfied and not only is social media a place that reflects the identity of a culture, it shapes it. What advice would you offer entrepreneurs? Don't look at all at what other people are doing. Think of what you're doing as completely fresh because if you imitate you're dead. It's about creating an idea that doesn't exist now. How do you keep your creaitve juices flowing? Let us know in the comments section.